Well this is it wisdom teeth, we have had a good run, but it's time we part ways and make room for a new bite and a new smile. Thanks for all the wisdom you shared with me. 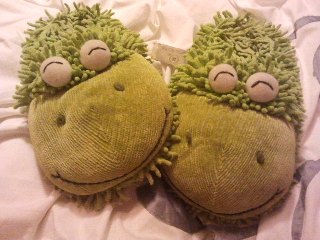 I hope the doctors and nurses don't laugh at my slippers, I forgot to get hospital appropriate ones! Everything will go so fast, it will be over before you know it! You'll do great!